Businesses that focus entirely on digital marketing miss out on the excellent response rate that direct mail earns. Direct mail has a response rate of 30 times that of e-mail (DMA). A well targeted and executed direct mail campaign is well worth the effort. With the amount of traditional mail being sent reducing and digital marketing becoming the norm, there has never been a better time to be sending direct mail. Lower overall mail volumes mean that your piece has a better chance of attracting attention. There is lots of social media noise and shouting for a consumer’s attention online. But a letter speaks to your audience in a less intrusive way, allowing them some control over the interaction. Whilst an email can be deleted with a single click, direct mail is a physical object. If your message is well targeted, attractive and holds a compelling message it is more likely to be opened, considered and responded to. In the consumer space, a Royal Mail study found that email is seen as quick and informal, whilst mail is felt to be believable and reliable. It isn’t a case of either/or, choosing online or offline, old school or new. Multi-channel advertising works best, integrating campaigns so they complement each other across different channels. For example, direct mail can have coupons which can be used in store or online, contain QR codes which take people to a specific landing page to measure response rates, feature all of the businesses social media channels. New research by Royal Mail reveals that consumers don’t want to choose between mail and email. Most want both. 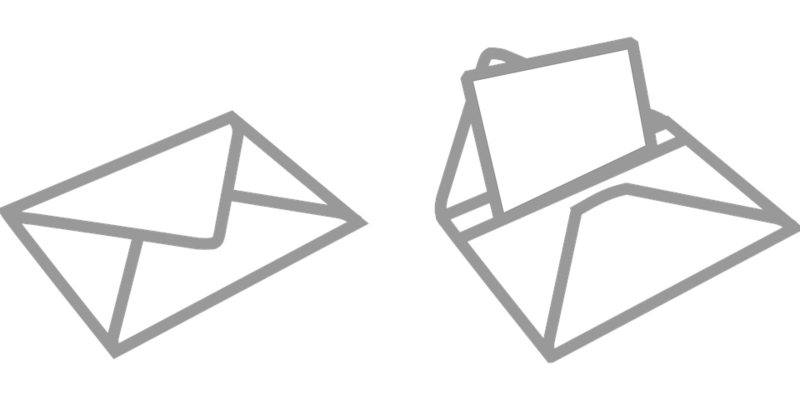 Using mail and email together in a planned way builds on the strengths of each, giving you the greatest chance of maximising the effectiveness of your communications. A big plus of sending direct mail in a digital age is that digital technology has helped with the effectiveness of direct mail. Digital printing allows you to personalise mailouts, giving consumers the feeling they are engaging in a 1 to 1 conversation. Also, digitally printed mailouts can now be created so quickly they can be used in response to purchase activity and other data. Even better, the cost of mailouts has gone down now digital printing means staff no longer have to load and manage printers or stuff envelopes. The new world of digital marketing represents new and exciting opportunities for marketeers, but online advertising doesn’t replace the value of direct mail. Smart marketeers know that a multichannel approach works best and that direct mail still offers rich opportunities for your business. For help with purchasing or managing your direct marketing database, get in touch with Corpdata.